Whenever I have a dilemma, I think “Golly girl, you should really think on that and write up a blog post”. And so, I did. Lucky, lucky you! 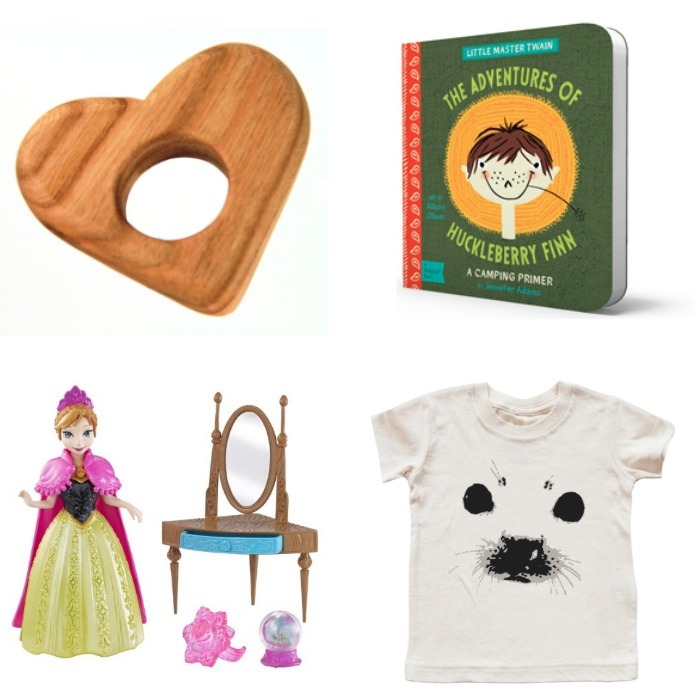 And my first answer … “Uh, candy?” And then, brilliance struck and I gathered together 50 rock star stocking stuffer ideas! Boom shaka laka! No End Naturals chapstick /// A friend of mine’s shop, you’ll love her products! Coupons /// Dinner date night with Dad, movies with Mom, etc. Oranges /// Must have tradition for the toe of the stocking! Homemade treat with these new delights /// Love finding new favorites from my sponsors! Clown nose /// One of Max’s most favorite things to play with! 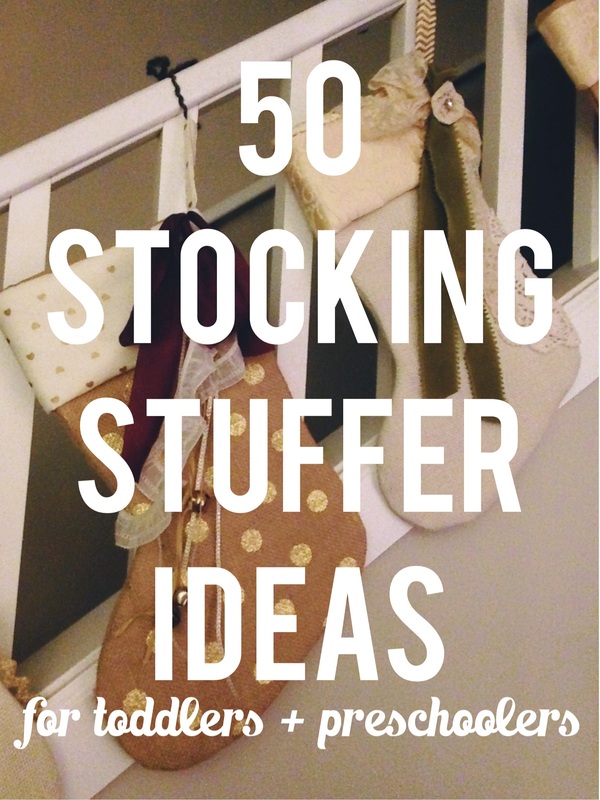 What would you add as a stocking stuffer idea? so great! i was just thinking about stocking stuffers the other day for the kids. i love that this list is a mix of just-for-fun stuff and we’ll-actually-use-it stuff. We were talking about this at homeschool group a few weeks ago. Best ideas I heard were flashlights, mini microscopes, tape measures and walkie talkies– we’re doing the walkie talkies for our 8 & 4 year olds. Then maybe they’ll give me back the baby monitor parts! Bahaha! This made be chuckle :) I did just pick up a magnifying glass for Max and I know Jem would like a tape measure – she’s always talking about how many feet people are. Such a great list!! Those Baby lit books were on super sale and my dad bought 10 for my girls!! We do an orange, socks, lip balm (among other fun amenity things), and Paleo friendly snacks I can find. Lucky girls! I think they’re just the cutest books!